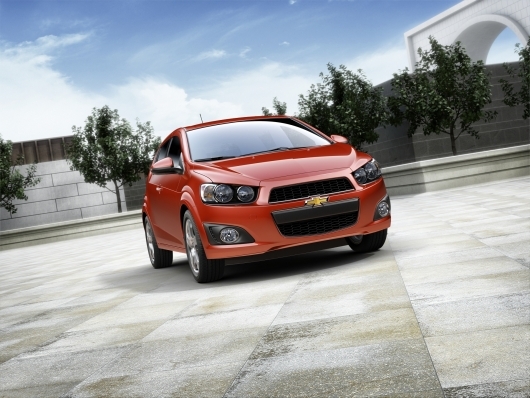 Take a look at the 10 best vehicles for 2012. 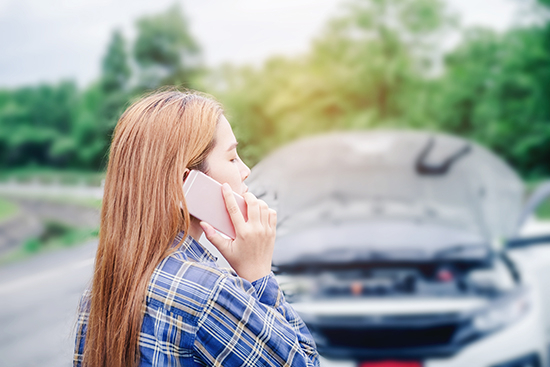 Wondering what’s new in dealerships? Well, we’ve got all the latest details. Green technology is in vogue these days, of course, but the new entrants for 2012 actually run the gamut from eco-friendly commuter pods to high-performance machines jonesing for dino juice. Here are our top 10 candidates for 2012 rookie of the year. Why it matters: A lot of journalistic fun has been had at the expense of so-called “four-door coupes,â€ which seemed like just another marketing affectation when they appeared on the scene a few years back. But you know what? 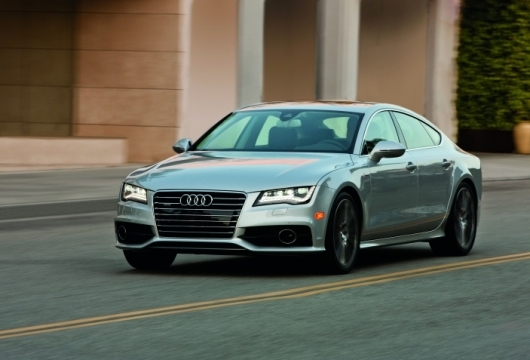 Styling sells, and aside from the unattainable Aston Martin Rapide, the new Audi A7 is arguably the sexiest four-door you can buy. It’s also got a brilliant supercharged 3.0-liter V-6, a typically exquisite Audi interior, and even a handy hatchback trunk. And while nothing this expensive can be called a bargain, the A7 is much more affordable than the Rapide and other notables like the Mercedes-Benz CLS-Class and Porsche Panamera. Why it matters: GM has found small-car success with the Chevrolet Cruze, so why not dress one up in Buick duds? 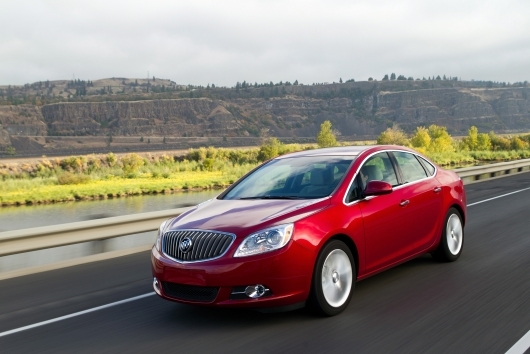 That’s the idea behind the Buick Verano, which pairs Chinese Buick styling with Cruze-related underpinnings, adding a unique interior and GM’s corporate 2.4-liter four-cylinder engine for further differentiation. The interior is actually quite nice, and the exterior…well, that depends on how you feel about Buick’s Chinese design aesthetic. Expect to see more automakers experiment with premium-badged compacts in coming years. Why it matters: Hot on the Cruze’s heels, the spunky Chevrolet Sonic subcompact promises to make its putrid Aveo predecessor a distant memory. But does it have the goods to compete with rivals like the Ford Fiesta and the reinvented Kia Rio? Yeah, seems so. The Sonic’s fuel economy suffers a bit due to the car’s relatively hefty curb weight, but we like the sophisticated driving dynamics and the cool motorcycle-inspired gauge cluster. We only wish that the optional, stickshift-only 1.4-liter turbo (borrowed from the Cruze) were available with an automatic; for now, the two-pedal crowd is stuck with the low-tech 1.8-liter base engine. Why it matters: Perhaps hoping to capitalize on the premium hatchback craze (see A7, Panamera, et al. ), Ferrari has gone and built a hatchback of its own. 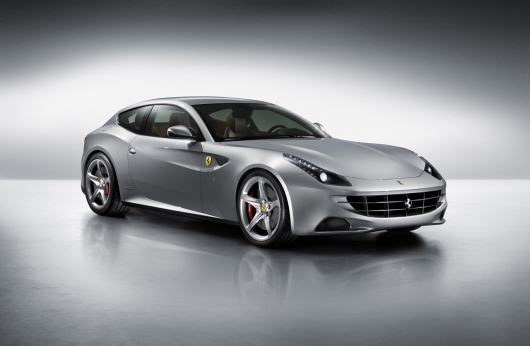 The 2012 Ferrari FF only has two doors, but Ferrari claims there’s room for a pair of adults in back, and we don’t doubt it—the FF’s predecessor, the 612 Scaglietti, had one of the most accommodating backseats in coupe history. In another departure from the Ferrari norm, the FF is all-wheel-drive. Happily, the naturally aspirated 6.3-liter V-12 under the hood is pure Maranello, delivering its 651 horsepower with that inimitable Italian wail. Why it matters: Who says hybrids can’t be cool? 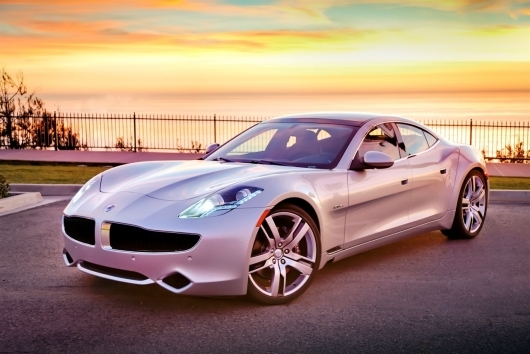 Not California-based Fisker Automotive, which has reportedly begun delivering its Karma plug-in hybrid sedan to early customers. Easily one of the most striking vehicles on the road, the slinky Karma offers the same basic advantages as a Chevrolet Volt: pure electric power for commuting and gasoline power for extended cruising. Except the Karma also happens to generate a maximum of 959 lb-ft of torque, making it the torquiest car on the market by our count (Ford’s heavy-duty diesel pickups muster a comparatively wimpy 800 lb-ft). It’s also got a custom interior that’s up there with the best. 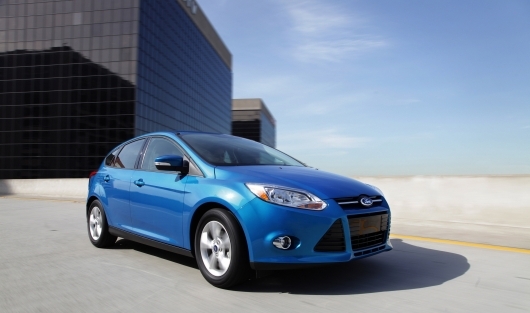 Why it matters: In the warp-speed world of automotive releases, the 2012 Ford Focus feels like old news, but it shouldn’t. Since its debut in early 2011, the all-new Focus has distinguished itself as a surprisingly premium entrant in the small-car segment, boasting a high-quality interior and tidy styling, especially in Euro-chic hatchback form. We like the way it drives, too, from its confident handling to its peppy yet fuel-efficient 2.0-liter inline-four. There’s also a turbocharged ST model in the pipeline that promises to ramp up performance dramatically. Why it matters: Positioned to succeed where the Honda CR-Z has thus far failed, the 2012 Veloster is Hyundai’s attempt make the small sporty hatchback cool again. 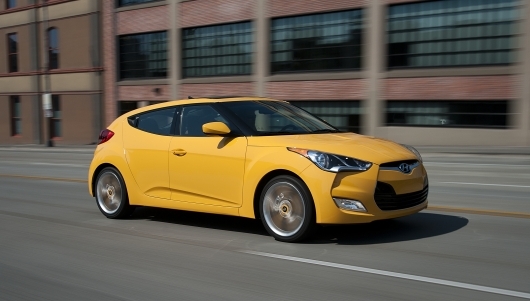 Unlike the two-seater Honda, the Veloster has a backseat, and medium-sized adults can actually squeeze back there. On the road, handling is reasonably entertaining, though the weak 1.6-liter inline-4 makes us yearn for the upcoming turbocharged version. As for technology, how do you say “out the wazooâ€ in Korean? The Veloster’s swoopy dashboard comes standard—standard—with a seven-inch touch screen, Bluetooth and USB connectivity, and Hyundai’s BlueLink telematics suite. Why it matters: Because its predecessor, the LR2 (née Freelander), mattered not a whit. 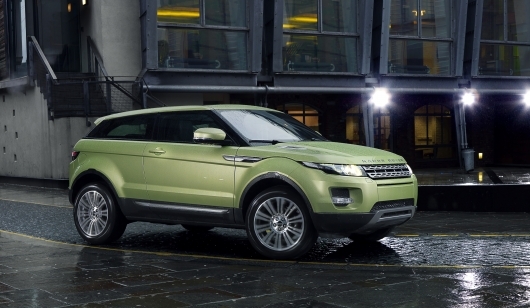 Available with either two doors or four, the Range Rover Evoque is Land Rover’s first concerted effort to be relevant in the entry-level luxury crossover segment. We certainly give the new baby Rover high marks for styling, and that includes the interior as well, which has some of the nicest materials you’ll find at this price point. Will the Ford-sourced turbocharged 2.0-liter inline-four under the hood be sufficient? Given its 240-horsepower maximum, the jury’s out; after all, the Evoque, which carries over much of the LR2’s hardware, weighs about two tons. But the combined EPA rating of 22 miles per gallon (including 28 mpg on the highway) is bound to please the crowds. Why they matter: Never shy to spin off new variants from its basic vehicle platform, Mini is aiming for the weekend-toy set with a pair of new two-seaters, the Coupe and Roadster. The latter brings its manually operated vinyl roof to battle with the rear-wheel-drive Mazda MX-5 Miata, while the former competes with, well, nothing we can think of. Identical to other Minis in the powertrain and dashboard departments, the Coupe and Roadster are distinguished by their unique exterior styling and cozy two-place seating. 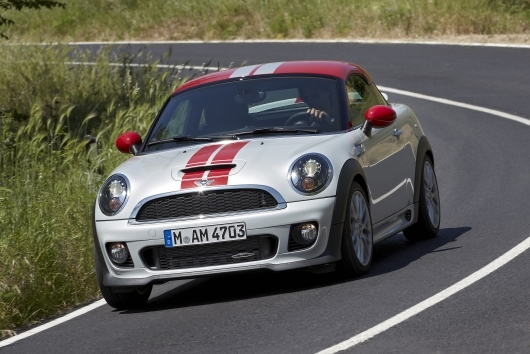 Expect the familiar Mini driving experience, i.e., an exceptionally entertaining one—especially in the turbocharged S and John Cooper Works models. 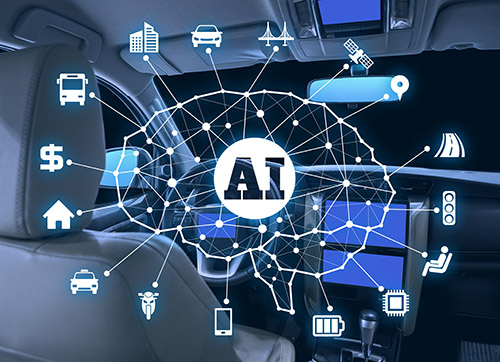 Why it matters: Because it’s better than the Smart Fortwo—and judging by the surprising sales success of that phone booth on wheels, the iQ’s future is bright. Much discussed among car aficionados for being rebadged as the Aston Martin Cygnet, the teensy iQ somehow contains four seats, though you’ll be better off sitting cross-legged if you’re stuck in back. Like the Smart, the iQ is a parallel-parker’s dream. Unlike the Smart, it doesn’t require premium fuel to achieve its combined EPA rating of 37 miles per gallon combined (the Smart actually gets 36 mpg). 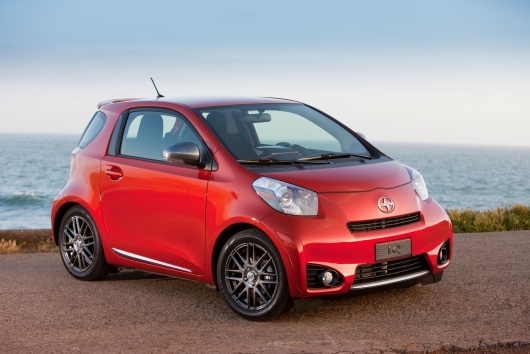 Aside from its sluggish CVT—a manual isn’t offered stateside—the iQ is a rather likable tyke.